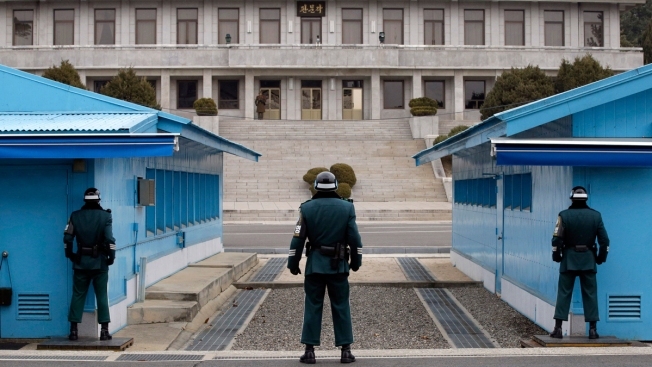 In this March 12, 2014, file photo, a North Korean soldier, center top, looks at the southern side as three South Korean soldiers guard at the border village of Panmunjom, which has separated the two Koreas since the Korean War, in Paju, South Korea. North Korea said Friday, Nov. 16, 2018, that it will deport an American citizen it detained for illegally entering the country recently, as the country's state media said leader Kim Jong Un supervised a test of a newly developed high-tech weapon in an apparent bid to employ pressure on Washington and Seoul. North Korea on Friday deported an American citizen it says it detained for illegal entry, a U.S. official said, an apparent concession that came even as the reclusive nation announced the test of a newly developed but unspecified "ultramodern" weapon that will be seen as a pressuring tactic by Washington. North Korea in the past has held arrested American citizens for an extended period before high-profile U.S. figures traveled to Pyongyang to secure their freedom. Last year, American university student Otto Warmbier died days after he was released in a coma from North Korea after 17 months in captivity. 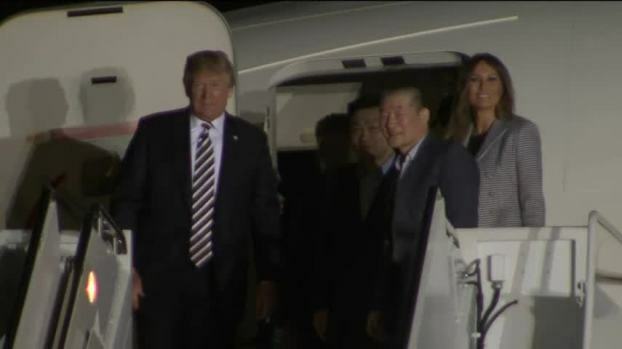 President Donald Trump welcomed the three Americans freed from North Korean detention on May 10, 2018, taking time to thank North Korean leader Kim Jong Un. He also spoke about the upcoming summit between the U.S. and North Korea. Secretary of State Mike Pompeo on Friday expressed appreciation for the cooperation of North Korea and the embassy of Sweden — which handles consular issues for U.S. citizens in North Korea — "in facilitating the release of an American citizen." His brief statement provided no further details. In May, North Korea released three American detainees in a goodwill gesture weeks ahead of leader Kim Jong Un's June 12 summit with President Donald Trump in Singapore. The three Americans returned home on a flight with Pompeo. Before his deportation, the man told interrogators that he "knows lots of people in the Trump administration so that he wants to work as a bridge between the United States and North Korea to help improve their ties worsened by Warmbier's death," said one of the police officers who investigated the man. 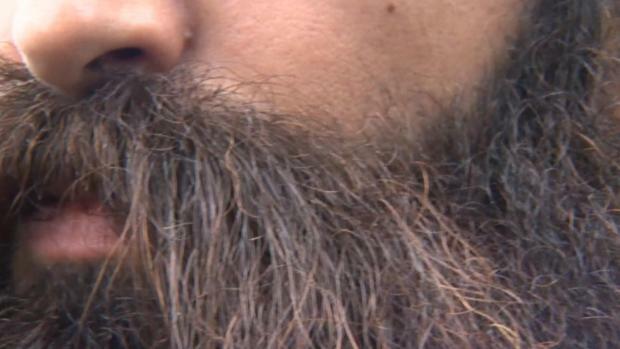 He requested anonymity, citing department rules. U.S. Vice President Mike Pence, attending a Southeast Asian summit in Singapore, cited the "great progress" made on North Korea since the tensions of 2017 but said more had to be done. He stressed that U.N. sanctions had to remain enforced. The North said the test took place at the Academy of National Defense Science and that Kim couldn't suppress his "passionate joy" at its success. But North Korea's report was noticeably less belligerent than past announcements of weapons tests, and didn't focus on North Korean claims of U.S. and South Korean hostility. Associated Press writer Kim Tong-Hyung, Foster Klug and Annabelle Liang contributed to this report.